There are few businesses affected more by a bad reputation than a restaurant. In today’s world of information, your restaurant/business reputation can quickly become tarnished online by one unsatisfied client, an angry former employee or even competitors posting false and negative reviews. According to a recent study, 4 out of 5 consumers have changed their mind about doing business with a company solely on negative information found online. Restaurant and other service providers can no longer afford to let unhappy customers complain. A business owner/manager must be proactive and control those complaints before they affect their online reputation, costing them sales and revenues. Most businesses have a lot of raving fans. However, if they are kept a secret..then nobody will know about them. One happy customer talking about your business is worth more than any advertising that can be purchased. However, the opposite side of the coin is that one unhappy customer can do more damage than any expensive advertising campaign can overcome. For more information contact St Louis Media, LLC or call (314) 474-9854 or email info@stlouismedia.us. I have been attempting to write this article for several months, but getting through to a person with authority is difficult due to their busy schedule. After placing several calls and getting no where, I decided to delay publishing a review. However, after having a business meeting there last Thursday, February 12, 2015, I witnessed something that encouraged me to write and publish even without their input. It has been several years since I have seen Charlie himself. But during lunch, Charlie was in the corner of the bar area with professional grade lighting and camera equipment taking pictures of his cuisines. He didn’t hire a professional, he was doing it himself and you could tell by watching him that it was given the same pride and passion that goes into his restaurants cuisines, service and atmospheres. This was not the first time he had taken on this task and you could tell that he knew exactly what he needed and wanted and was not going to leave it to chance by somebody else. He took several pictures of each cuisine and was very particular about how they displayed when they came out from the kitchen. It became apparent why his restaurants are a success. High quality food and service is what makes a restaurant successful. It is apparent that he pays a lot of attention to all of the details that the restaurants require. It would be easy for a restaurateur of his caliber to hire the pictures to be taken by a professional. The staff is always professional, courteous and timely. You can tell from the moment you walk in that they are trained to make you feel special, at home and appreciated. They understand the value of quality service and that fact is apparent anytime you visit any of the three locations. Everything is made fresh from the bread to the desserts. I love all three locations, but I prefer the atmosphere at their original location on The Hill. It is traditional and has more of a fine dining atmosphere than the other two locations. The Chesterfield and Hollywood Casino locations are more relaxed and casual, but they still offer a wonderful dining experience. They are different, not in a bad way, just different. All three locations have the same menu’s, great food and superior service. If you eat there you have to try their Cannoli’s. “Leave the gun, take the cannoli’s” (quote from the Godfather movie). They are the best and worth the calories. 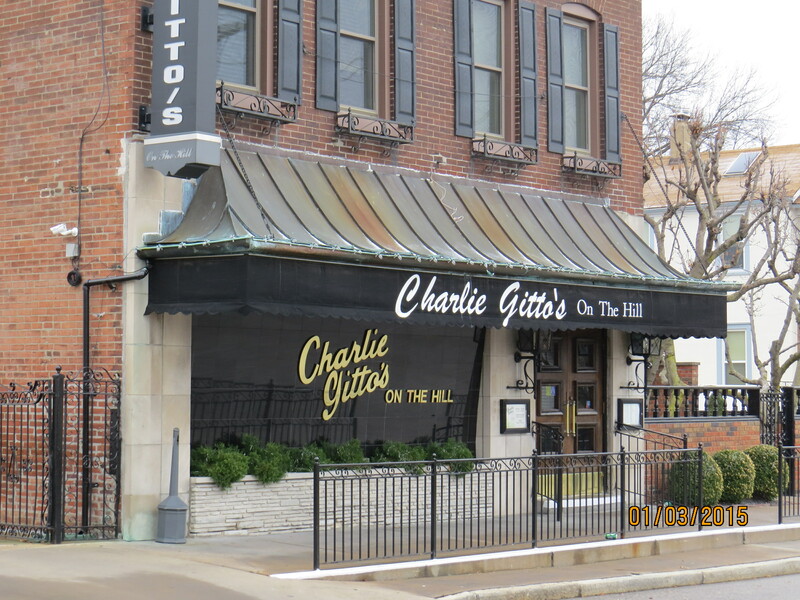 Charlie Gitto’s on The Hill is located at 5226 Shaw Avenue, St Louis, MO. The facebook page for The Hill location has had more than 9,900 visitors giving more than 5,000 likes giving them a 4.5 Star Rating. Google gives this location a 4.5 Star Rating as well. St Louis Restaurant Review RECOMMENDS this location and awards it a 4.75 Star Rating. Our reason for the enhanced rating is the service, length of service for each server, the cleanliness and quality of food and service. 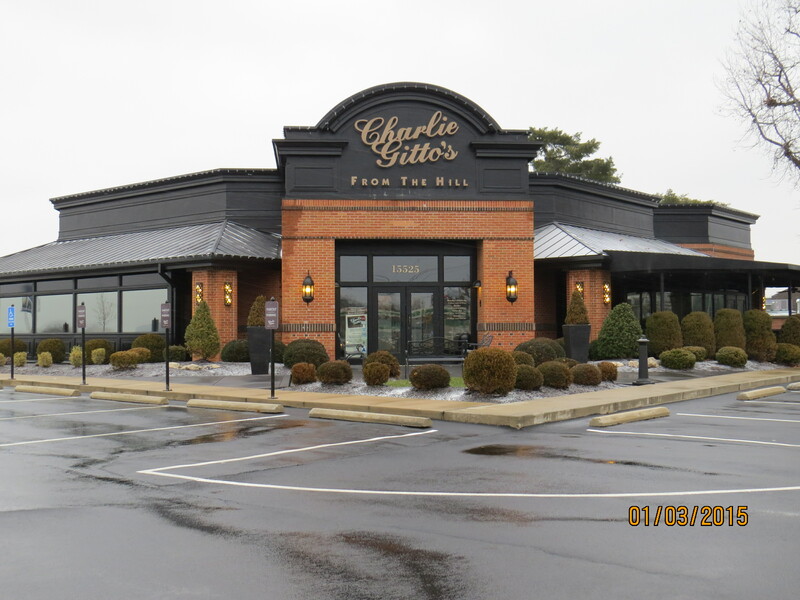 Charlie Gitto’s From the Hill is located at 15525 Olive Blvd, Chesterfield, MO. The facebook page for the Chesterfield location has had more than 1900 visits and more than 116 likes giving it a 4.2 Star Rating. Google gives this location a 4 Star Rating. We think that is on the low side from where they deserve to be. St Louis Restaurant Review RECOMMENDS this location and awards it a 4.50 Star Rating. 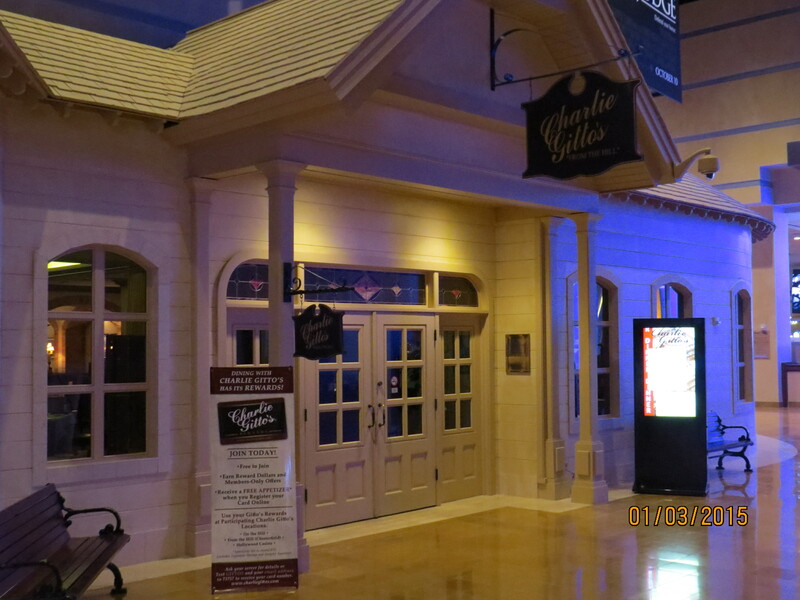 Charlie Gitti’s at Hollywood Casino is located at 777 Casino Center Drive, Maryland Heights, MO. The facebook page for the Hollywood Casino location has had more than 1,000 visitors and 37 likes giving it a 4 Star Rating. St Louis Restaurant Review RECOMMENDS this location as well and awards it a 4.5 Star Rating. Additionally, Charlie Gitto’s is a WINNER of the OpenTable 2015 Diner’s Choice Award. To describe all of their accomplishments is beyond the scope of the publication. All we can say is to visit their website, Google their name or just trust our research when we say they are among the best in the city, if not the best. Ratings across the board are impressive and well deserved. We complement and congratulate Mr. Gitto and his staff on their success and successful strategies to provide some of the best customer service, cuisines and atmosphere’s in the city. We will attempt to obtain additional information. If we do we will revise our review, note the revision and republish it. This is an independent review. It is not paid advertisement and no communication was available with an authorized representative prior to publishing. St Louis Restaurant Review is an online publication provided by St Louis Media. 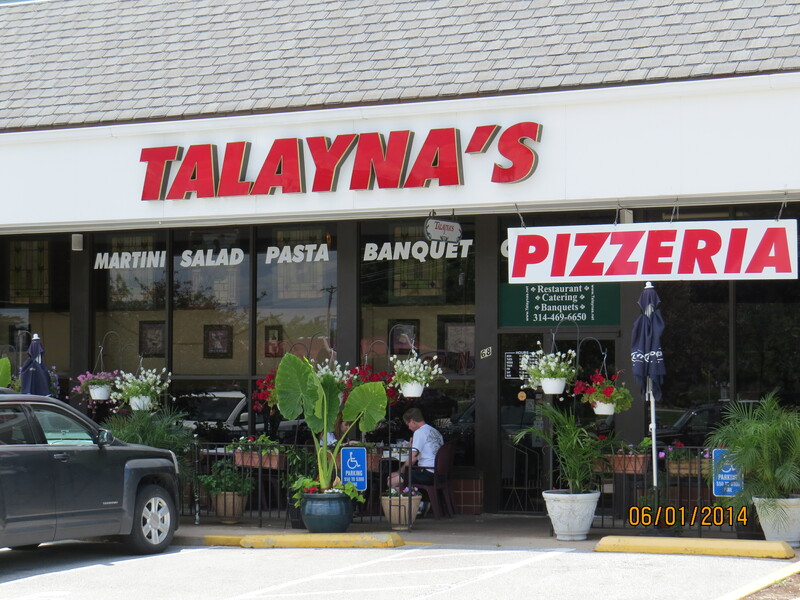 Talayna’s Italian Restaurant is located at 68 Four Seasons Shopping Center, Chesterfield, MO. Call 314-469-6650. Talayna’s offers pizza, pizza delivery, Italian and Mediterranean cuisines, catering, banquet facility and live music frequently throughout each month. We published our original review March 9, 2014. Since then not much has changed other than they have added Online Ordering. Combining that with their delivery service proves that they are willing to make changes to meet customer demand. Online ordering is increasingly more important and more people adapt to their smart phones. We met with the owner this past week (March 9, 2014) of Talayna’s Italian Restaurant, Mehdi Rouhani, and he is truly a professional restaurateur. Mr. Rouhani is kind, professional and knowledgeable about the business. He also owns an offsite banquet facility; The Four Seasons Winery and part owner of another Italian restaurant; Candicci’s Restaurant & Bar. Talayna’s is celebrating their 50th year in business and 35 years since Mehdi and Susan Rouhani purchased the place. Mehdi and/or Susan is on the premises pretty much all of the time assuring that the restaurant and the kitchen is ran to his high standards. Their Facebook is lacks activity on the restaurants part, but having written that, they have been visited more than 1514 times, Liked 299 times and given a 4 out of a 5 star rating (revised Feb. 15, 2015). Many restaurants have to create a lot of activity on their Facebook to engage people to “Like” them. That is definitely not the case here. They are not good at self-promoting themselves. That says a lot about customer satisfaction at a restaurant. We recommend that you visit this dining establishment and we give it a 4 Star Rating. They are well known for their unique Mediterranean and Italian cuisines. RECOMMENDATION: Visit Talayna’s Italian Restaurant. Our favorite is their Pizza. REASON FOR RECOMMENDATION: Rewarding dining experiences & personal interviews with the owner for more than one year now. Our original post was published March 9, 2014, revised and republished February 15, 2015. Since then the ratings have increased slightly and they have added online ordering for enhanced customer satisfaction and convenience. St Louis Restaurant Review is a St Louis Media online publication. 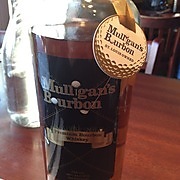 Mulligan’s Grill, – When you have your own private label bourbon you have to know that you are doing something right. As a restaurateur that has to be a proud accomplishment. Mulligans Bourbon is available at several stores around town. Let’s face it, running a restaurant is much more difficult than it appears, which is the why so many fail. There is an overwhelming amount of detail that demands the owners attention. When you see a restaurant that is successful and well managed, it looks as though anybody could do it. The owner of Mulligans Grill is one of those owners that makes it look easy. He is surrounded by young, well trained staff, he pays attention to the detail and apparently has as a good feel for the local crowd because he seems to please them enough that it is difficult to get out the door on a Tuesday night because so many people are waiting to get in. Honestly, all the reviews and ratings in the world does not mean much when you see a crowd like that on a Tuesday night. One popular restaurant rating site gives Mulligans an 85% with 168 votes. When you visit this place you would expect a much better rating than 85%. Most of the patrons that we have visited with are regulars and have visited Mulligan’s for years. Disregarding that review, we moved on to their Facebook page where they have 696 Likes and have had 1818 visitors with 5 stars. Google has 17 reviews giving it a 4.2 star rating. Their Google+ page has been visited more than 215,000 times. Since our original review published March 28, 2014 their reviews have actually increased slightly, which says a lot about the establishment. One thing that Mulligans Grill is not good at is self-promoting themselves. Why? They are busy and do not have time for self promoting. They are not concerned with getting more business, they are concerned with taking care of the business that they have now. That says a lot; it tells me that he understands what keeps customers returning to his establishment – good food and service. One of our biggest concern is always cleanliness. This place is clean as you might expect. The food is good, the service is good, the prices are fair and Mulligan’s has their own private labeled bourbon. It is an upscale bar and grill that has a broad menu offering something for just about everybody. Since our previous review they have added an outdoor seating area, which is probably not big enough room to facilitate the increasing demand, but they were limited with space. 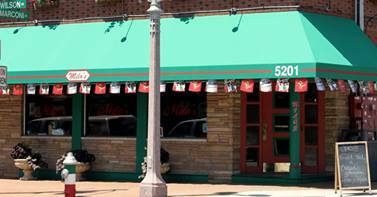 We recommend Mulligan’s Grill and give it a 4.25 Star Rating. We are confident that after 20 years of business, you will like Mulligans Grill too. There is no rush to get there because this place will be there – failure is not in their future. We congratulate the owner and his entire staff on a job well done. Mulligans Grill (map link) is located on the NE corner of Clarkson & Manchester Rd at 11 Clarkson Rd, Ellisville, MO. Phone (636) 391-6880 or visit their website at www.mulligansgrillstl.com. The review is the sole unbiased opinion of St Louis Restaurant Review and is NOT paid advertisement. Our original post was published on March 28, 2014, revised and republished on February 15, 2015. Milo’s Bocce Garden is located at 5201 Wilson Avenue, Saint Louis, MO 63110. While located, in what has been referred to by the New York Times as “an incubator of baseball talent,” The Hill, this is totally Italian with an American touch added to it. It’s definitely a local hangout. If you visit, most of the patrons will likely be friends or neighbors, everybody discussing whatever. Family and friends meeting for lunch, drinks, bocce or just to visit. The Hill is known for their fine Italian restaurants and this is one of them, however, your meal will come on a Styrofoam plate, waitress wearing jeans and TV’s blaring with sports news. While this is a local hangout, don’t discount the fact that it still offers some great Italian food without breaking the bank, plus they have American cuisines that you might expect at a local hangout, burgers, chicken sandwiches, etc. Like most buildings down on The Hill, it is older, but it is very well maintained and clean enough to eat off the floor. Good food, good prices and good service with the atmosphere, which is free, makes this a place that you don’t want to go for lunch or just dinner, but to spend the afternoon or evening there, maybe even attempting to play some bocce. Get the pronunciation down before visiting or they will correct you. There is a lot of pride surrounding this game. Their Facebook fans give Milo’s a 4.5 star with 1187 likes and more than 7,000 visitors, urbanspoon gives it an unbelievable 94% on 133 votes. The Google ranking is a little shocking, giving it 3.8 star with only 13 reviews and few were current. I’m going to lean towards the urbanspoon rating as being the most reliable. No, its not a 5 star restaurant, but they aren’t trying to be, that’s not their deal. Milo’s most expensive entree is only $12.75 (spaghetti with 2 homemade meatballs), they offer a broad selection of beer and other alcoholic beverages. I’m pretty sure the owners of the 5 Star restaurants on The Hill hang out at this place. It’s casual dining so leave your suites and dresses at home, put on your jeans and spend an afternoon or evening with the locals at Milos. Recently I have been visiting Milo’s on Monday nights and it is the same quality food and service that I experienced last year. My new favorite appetizer is their deep fried pepper jack cheese cubes. We recommend Milo’s Tavern and we give it a 4.5 Star Rating. We published this post March 28, 2015, revised and republished it on February 15, 2015. BBQ ASAP – BBQ is probably the most difficult thing to report on and/or review. This is as scientific as it gets when it comes to cooking. The recipes are secret, some are generations old and others are new and rising fast in popularity. The sauce is just one aspect of it, then you have the grilling or smoking techniques that are mastered. That’s why they are called pitmasters. Jim and Mary Randall have nailed it. Their story is the perfect American success story. They didn’t inherit the restaurant or recipes, they developed their skills the old fashion way. They worked hard and figured things out all on their own. Read their story on their website. Their awards and trophies speak for themselves. We’ve visited with Jim and Mary on several occasions. They are kind, generous & know exactly what they are doing. They have their goals and ambitions and are patiently working towards them quite successfully. Starting a restaurant from scratch has to be tough and challenging. They are making it happen. Everyday all the food is prepared using the best of fresh ingredients. Mary manages the inside kitchen while Jim is managing the smokers. We are not exaggerating to say that we don’t believe that there is a place in Saint Louis that puts more care, attention and passion into preparing food for its customers. 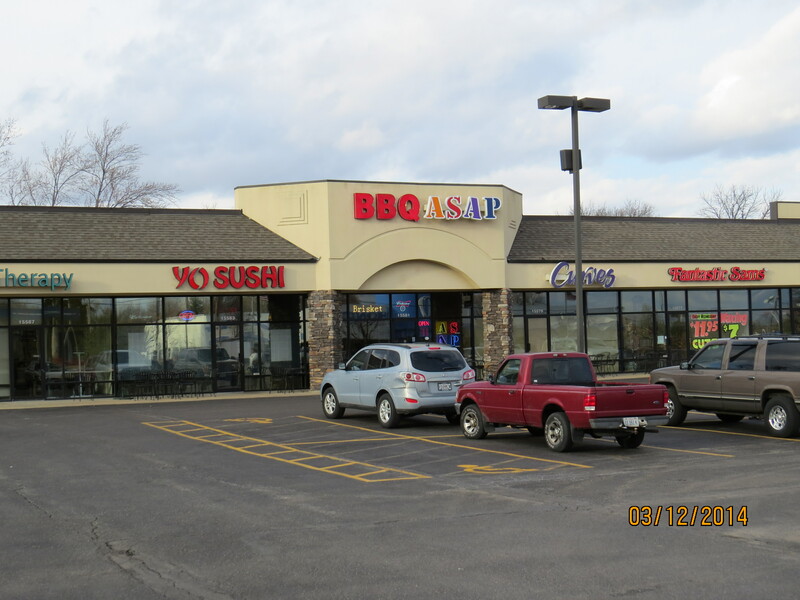 If you like quality meats, home style cooking, friendly service and somebody that truly appreciates your business, BBQ- ASAP needs to be your next BBQ meal. We highly recommend their smoked turkey breast. It is very difficult to prepare turkey without drying it out. I have no idea how they prepare their turkey, but it is very moist and delicious. All of their food is! Their Facebook page has blessed them with a 4.5 star rating with 740 Likes and 445 visitors. Their urbanspoon rating is 80% with 77 votes. Obviously, we don’t agree with that rating at all. Their Google rating is basically a 4 star with only 8 reviews. We recommend BBQ ASAP and give them a 4 Star Rating! We congratulate Jim and Mary Randall on accomplishing some of the most difficult tasks in the restaurant business. Starting a restaurant from scratch and offering the customers something that many restaurants miss, high quality unique food. We promise that you won’t find anything like what BBQ ASAP has to offer, Jim and Mary, regardless how far you have to drive! This review is our opinion and NOT paid advertisement. Our original post March 28, 2014, revised and republished February 14, 2015. When you think of The Hill in Saint Louis most people would think of fine Italian cuisine. This place will shock you or it did me. You have to give Steve a lot of credit to put a hot dog place in an Italian district. I guess regardless what nationality you might be, you can still appreciate a good dog. Steve’s Hot Dog’s serves Nathan’s Frankfurters from New York and smokes them for 30 minutes. They offer several different toppings that are just as good as the dogs. Combined, they make an incredible combination. For those of you who haven’t heard of Nathan’s Frankfurters they only sold about 425 million dogs last year and they are a publicly traded company. Apparently, this hot dog business is BIG BUSINESS. Steve is using only the best ingredients. Steve’s Hot Dog’s is rated very high every place you look. 98% with one famous rating place, Google 4.6 Star, and his Facebook page is just about as busy as it gets. 7843 Facebook likes, 1190 have rated it and 5133 visitors. I will not bore you with anymore details. I think his Facebook page speaks for itself until you visit and try their 1/4 lb., smoked, dogs. Moist and full of flavor. They offer Fitz’s products, which is always a treat. The place is clean and the staff is friendly. It’s in the heart of The Hill, so it’s a great place to make a small get away in order to try Steve’s Hot Dogs on The Hill. It’s impressive that Steve took something so simple and obviously figured out how to do it better. While it is new, 2 1/2 years, the popularity of the place is soaring, evidenced by his Facebook page. Steve is also known for his role as lead singer for the famous St Louis band, The Urge. Steve is obviously one of those guys that will succeed at whatever he does. I stopped in a couple of weeks ago and the quality remains consistent. They are located at 2131 Maconi Avenue, St. Louis, MO. Phone 314-762-9899. KSDK video – Sept 22, 2011. Needless to say, we RECOMMEND this place and congratulate Steve and his staff on a job well done. We give them a 4.5 Star Rating. We originally published this post on April 3, 2014, revised and republished it February 14, 2015. 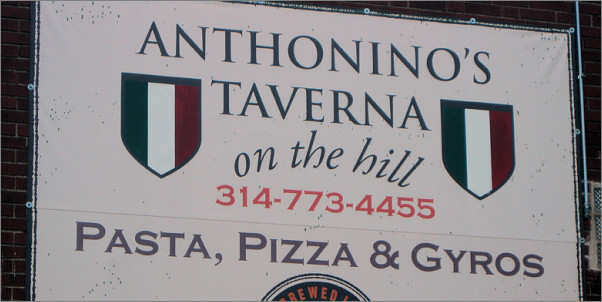 Anthonino’s Taverna is located in the historic community known as The Hill at 2225 Macklind Avenue, St. Louis, MO 63110– Phone (314) 773-4455. Owned and managed by two brother’s, Anthony & Rosario Scarato, Anthonino’s Taverna is a combination of Italian and Greek, influenced by their father being a first generation Italian-American and their mother being Greek. Their accomplishments thus far are: voted “Best Italian Restaurant” in RFT’s “The best of St. Louis” 2011 – voted the “Best Toasted Ravioli” in RFT’s, “The Best of St. Louis” – 2012 and voted the best pizza on The Hill. Best Pizza on The Hill is quite an accomplishment considering their competition. We met with Anthony on Tuesday, April 8, 2014, he is kind, professional and all about business. These guys are serious and while they have accomplished a certain respectable level of success, they are still trying to achieve their goals; to be the best Italian/Greek eatery that they can be. Obviously, not driven by money, fame or fortune, but making people happy and owning a local eatery that is appreciated by its customers. Quality of food is their top priority! Smart! They will be expanding the restaurant in the next few months that will double it’s current size. While there is a bar, a bar atmosphere is not what they are creating – a great eatery is their primary objective. Their biggest accomplishment is being featured on the popular Food Network show,Diners, Drive-In’s and Dives in 2012. The show has assured their destiny to even further heights of success. You can’t get any better advertising than by having Guy Fieri visit and film his show, Diners, Drive-In’s and Dives at your restaurant establishment. When that happens, you know your doing things right. In addition to their TV fame, their reviews should be the envy and goal of every restaurant owner- Food Network 5 Stars – Google 4.6 Star – Facebook has 5,465 Likes, with more than 2,000 visitors giving it a 4.5 Star – urbanspoon 91% – foursquare 8.8/10 – gogobot 5 Star – yelp 4 Star – Yahoo Travel 5 Star and tripadvisor is a 4.5 Star rated #12 out of 2503 restaurants in St. Louis, MO. The high ratings seem to be never-ending. We do not agree with the urbanspoon and yelp ratings. Anthonino’s Taverna deserves a 4.5-5 star in our opinion. However, we do not provide ratings or stars, we just publish our opinion of either recommending or not recommending an establishment and the reason. These brothers have it right, their priorities are in the proper order – take care of business and business will take care of you. If you visit Anthonino’s Taverna your visit will be appreciated and respected. Family is what this place is all about and coming from an Italian/Greek background their order of priorities and family tradition will assure these brothers success in whatever venture they take in life, but that has clearly been determined. We want to thank Anthony for taking the time to meet with us. We hope our review helps to attract attention to their fine establishment, not that we can compete with Guy Fieri, but we hope it helps nonetheless. We RECOMMEND Anthoninos Taverna and give it a 4.75 Star Rating. We congratulate Anthony, Rosario, family and staff on creating and maintaining such a unique establishment that is truly an asset to the community and city. Since our first published review, Anthonino’s Taverna has more than doubled it’s seating capacity. The food is still great. This review is NOT paid advertisement. It is unbiased and published based on the opinions of St. Louis Restaurant Review. While we interviewed Anthony, he provided us with information, but had no influence as to our opinion or writings. St. Louis Restaurant Review writes and publishes the reviews at it’s own expense and is not paid for by the restaurants. Our objective is to offer independent, unbiased reviews. Our original post was published on April 12, 2014, revised and republished on February 14, 2015. Faraci Pizza – I’ve been visiting Faraci Pizza since the late 80’s and it is the same quality today as it was back then. If anything has changed it has only been for the better. 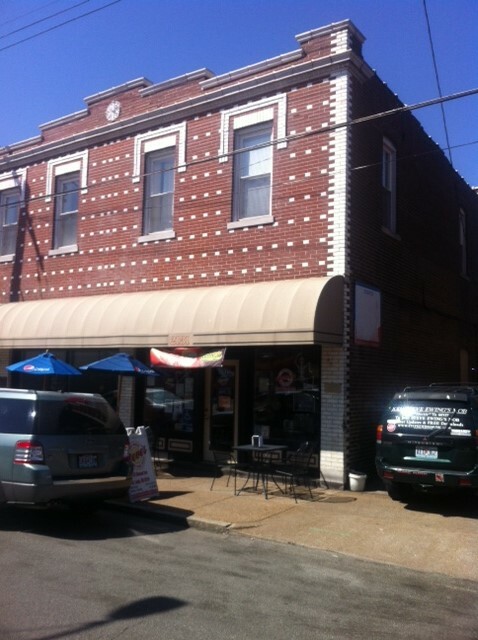 This pizzeria dates back to 1968 and is reported to be one of the oldest family owned pizzeria’s in St Louis. The son’s run the business now, Vince and Pete and they are there everyday for every meal and every pizza. I have never been there and not seen Vince standing at the end of the oven waiting to see if the pizza’s are made to his high standard. If he knows you, he will acknowledge you and offer his appreciation when you leave. Their ingredients are the best and cleanliness is at it’s highest standard. Our opinion of Faraci Pizza is beyond the scope of this review, but don’t take our word for it. Consider this: Faraci Pizza Facebook has been visited more than 415 times with 2801 “Likes,” giving it a 5 star out of a 5 star rating. You can’t get any better than being the best. Urbanspoon gives it a 94%, which I am not sure how that can be because I only read one negative review. Tripadvisor gives Faraci Pizza a 5 star and Google gives them a 4.7 star. Not bad! Faraci Pizza is better than just OK, it is great as the ratings reflect. The service is great, some of the staff have worked there for years, which says a lot about the quality of the management. 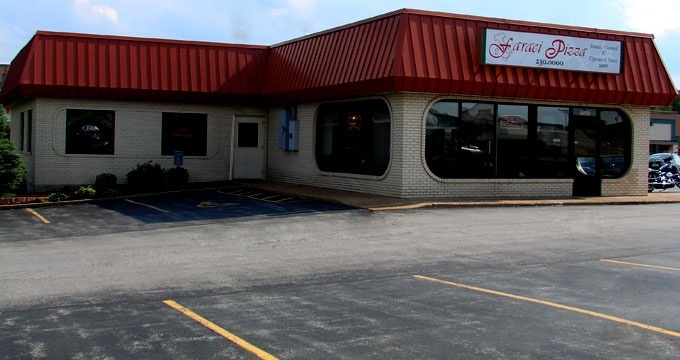 Faraci Pizza is located at 15430 Manchester Rd, Ellisville, MO 63011. Phone is (636) 230-0000. What a great phone number. We recommend Faraci’s Pizza. We congratulate Vince, Pete and the entire family on a job well done of making so many people happy. Few St Louis restaurants accomplish what Faraci Pizza has and they continue to move forward. We give Faraci’s Pizza a 4.75 Star. A note on their website says that they are celebrating 47 years. Congratulations! 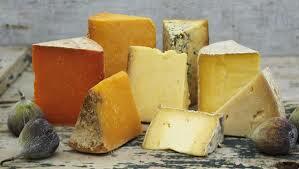 The making of cheese dates back as far as the beginning of time apparently. Nobody really knows when the process took form, but it is suspected that the process of making cheese was accidentally discovered from the practice of storing milk in containers made from the stomachs of animals. In this scenario, rennin, an enzyme in stomach lining caused the milk to separate into curds and whey. Another possible explanation for the discovery of cheese stems from the practice of salting curdled milk for preservation purposes. Regardless, of the origins, it is clear that by the time that Julius Cesar appeared on the scene, literally hundreds of varieties of cheeses were produced and traded. Thankfully, the process has improved. Nonetheless, Missouri has some world renowned cheese makers. We have listed a few and will be reviewing each of them to provide you with some additional information. Baetje Farms – their products are highly recommended. You can purchase them at various places around St Louis. Another post that we will continue revising to keep you up-to-date. We encourage everybody, especially restaurants to buy products made in Missouri to support our local economy. It makes sense! If you haven’t tried the latest Missouri wines you don’t know what your missing. If you have any information please email it to stlouisrestaurantreview@gmail.com. This post was originally published on April 28, 2015, revised and republished on February 14, 2015. St Louis Restaurant Review is a St Louis Media online publication.